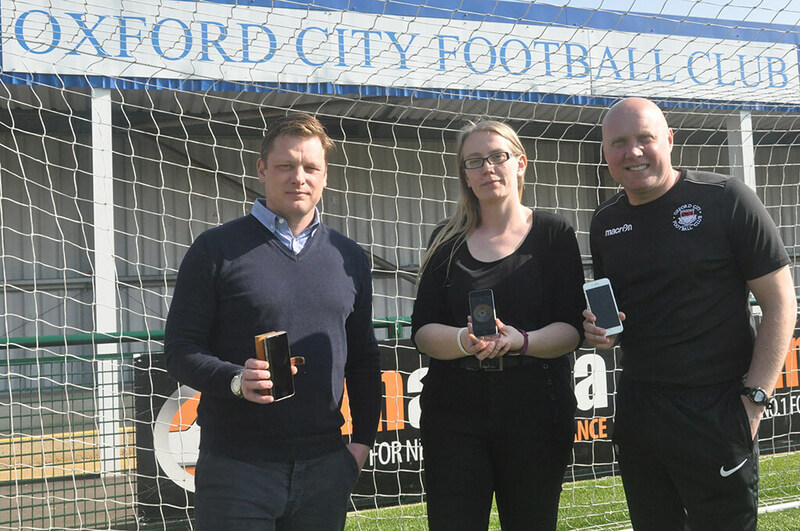 Vanarama National League South football club Oxford City have partnered with TicketCo to offer supporters cloud based mobile phone technology to purchase match tickets. “The TicketCo platform is fantastic and it makes buying tickets so simple online, both on the club website and Facebook page,” said Oxford City Football Club director Justin Merritt. TicketCo have worked closely with the commercial team at City to ensure the club fully benefits from the cutting-edge technology. Oxford City Football Club director Justin Merritt partnered with TicketCo to ensure a better service to its supporters and visitors. “This is an exciting step forward in our efforts to continue to modernise and improve the football club,” said Mr Merritt. For supporters that still prefer to pay with cash, Mr Merritt advised it was still possible. “Fans will still be able to buy tickets with cash if they wish too, but we felt it important to provide more convenient and modern ways for people to purchase tickets,” he said. Supporters will now be able to purchase tickets for all home games at Court Place Farm online, print at home, or have tickets downloaded onto a mobile phone. Additionally, the platform provides City with an online ticketing and payment facility for the first time which integrates with the club’s website and Facebook page. The cloud-based technology will enable the club to enhance fan engagement via digital marketing and capture data and develop insights. City also plans to use TicketCo’s ‘time slot’ functionality to enable people to book sessions on its 3G pitches at its Community Arena located next to the football ground. Customers book the pitches in hour slots, the system is also used by Junkyard Golf for customers to book ‘tee times’ at the entertainment venues in Liverpool, Manchester and Oxford. Oxford City are the first football club in the UK to use the TicketCo time slot system. TicketCo’s technology is compatible with Android and iOS devices and enables organisers to promote offers on food, drink and merchandise in advance of events. The TicketCo system can send QR codes to supporter’s smart-phones which are then scanned at turnstiles to gain entry on match-day. The platform also provides Oxford City with an online ticketing and payment facility for the first time and integrate with the club’s website and Facebook page. The cloud-based technology will enable Oxford City to enhance fan engagement via digital marketing and capture data and develop insights.